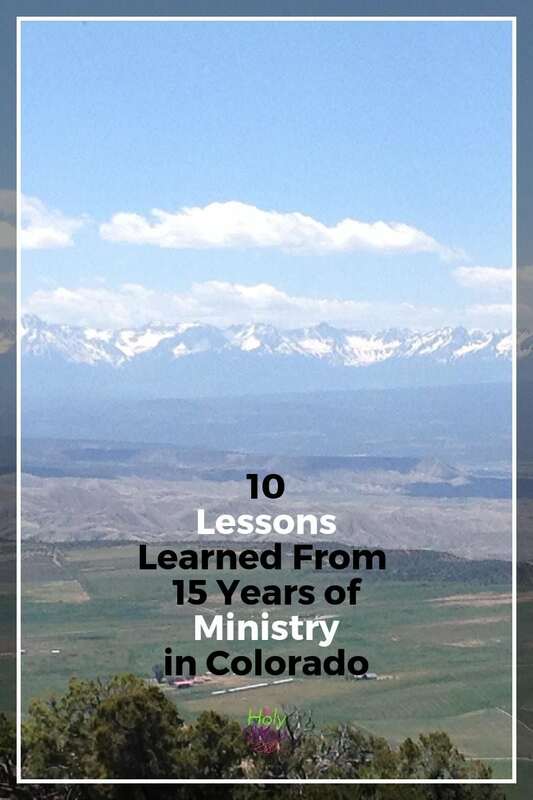 On April 3, our church gave us a wonderful goodbye and God-speed celebration, as we end our time of ministry in Colorado and look forward to beginning new ministry in New York. Here is the message of thank you and encouragement that we offered to them. If your browser is not showing you the video above, you may click here to see it on YouTube. Thank you! As our family has grown and changed over the years, you have continued to support us. We thank you. We will remember many years of wonderful ministry together. Life is hard. We take these tough situations to God in prayer. We’ve been through many difficulties together. The Aurora Theater shooting. The death of a staff member. Many staff changes and ministry ups and downs. You have been through tough times. We have had the sadness yet privilege of being with you at the hospital. At gravesides of your loved ones. 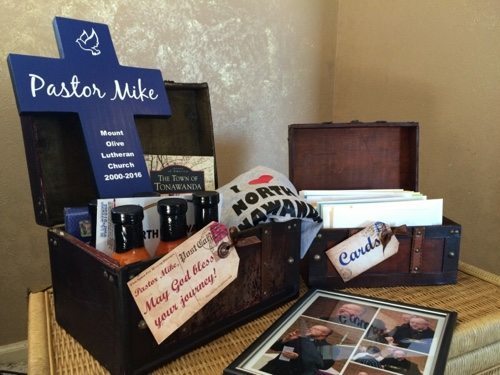 Mike has led many funerals. You have been with us through our tough times. Through the death of our family members. You supported us in our ministry as foster parents and through my 100 pound weight loss. We ask for your prayers now as we continue to seek help for one of our children with special needs. We have had a blast! There’s nothing quite like seeing your pastor go down the water slide at the church picnic in his Sunday best. 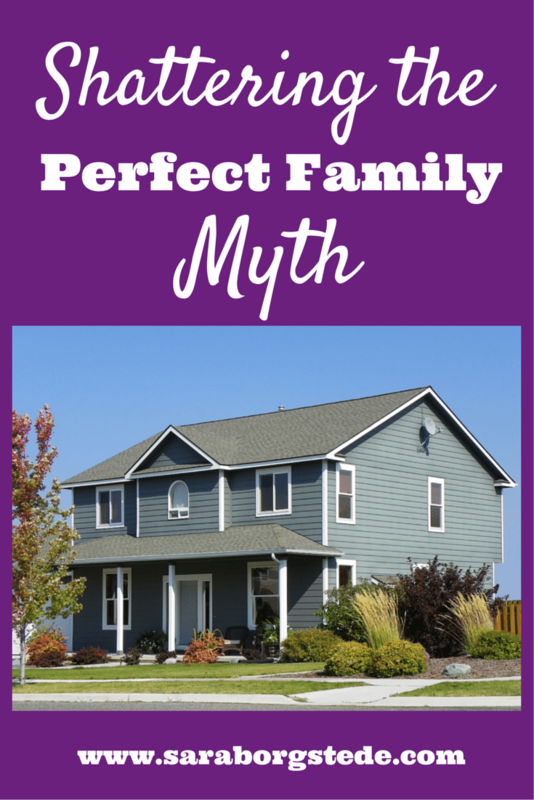 Our children have grown up here, and we have added three amazing boys to our family here in Colorado. “I like being a pastor’s kid. People pay attention to me at church and talk to me. I get extra attention.” ~ Paul, age 11. “It’s never been a bad thing. It’s good.” ~ Josiah, age 14. “People would never guess my dad’s a pastor because he goes to metal core concerts with me.” ~ Kiersten, age 17. God has blessed this church from the beginning until now, and He will continue to do so. God takes care of his church. The work we have done here together is very good — not because of who we are, but because of the Holy Spirit working in us. We’ve done outreach events and Bible studies, worship and music, youth events and more. We’ve seen many changes over the years in staff and members, but we know God will finish the work He has started. It’s been a joy to serve together accomplishing God’s work. Honor and care for the workers God is giving you now to carry on the work here. They are faithful servants who need your support. We hope you make vacation plans that take you to Niagara Falls. We love company! The internet, Facebook, and websites will keep us connected. But just in case not…we know we will see you again in heaven. We have that promise for certain. Aw, what a sweet list of things that you’ve learned! 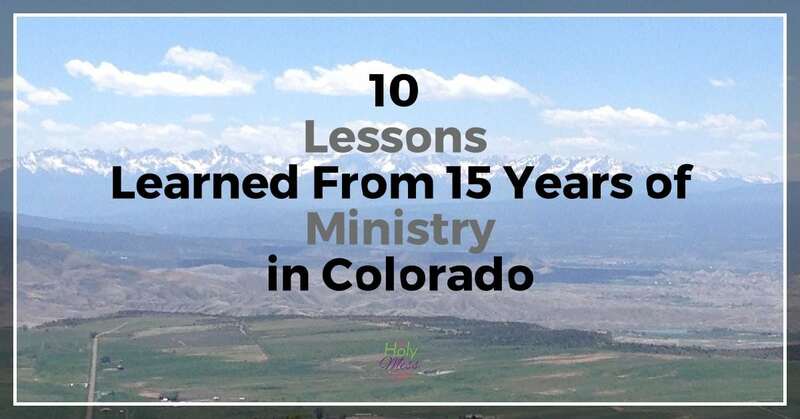 It’s difficult to move away from the memories, the lessons and the unresolved regrets–but God will continue to bless you and your ministry no matter where you are.